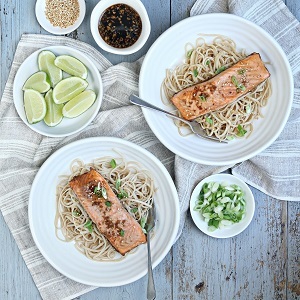 Check out our great selection of healthy recipes, they are simply delicious! To view the full range of healthy recipes, please visit here. These potato-free fish cakes offer a lighter choice, full of omega-3 goodness. 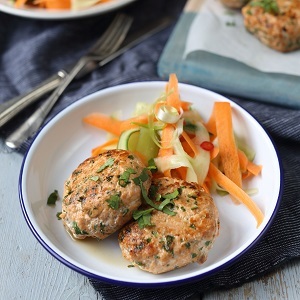 Paired with the raw, zingy Asian salad they make a wonderful light meal or work lunchbox option. Interested, please view details here. Bursting with iron-rich spinach and Vitamin E-packed walnuts, this salad is a great antioxidant booster. 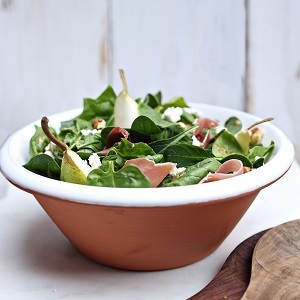 The combination of the sweet pear and the salty cured ham is also wonderful. This simple, healthy supper can be made in less than 30 minutes and should be popular with everyone in the family. 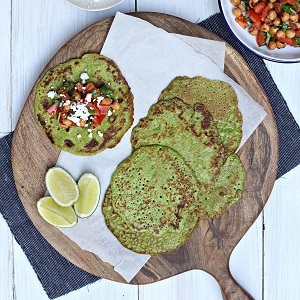 This delicious savory Pancake Recipe is a great healthy option this Pancake Tuesday! Whether grabbing a quick bite at home, or packing up for a sunshine picnic, these salsa wraps are a fun and healthy snack. 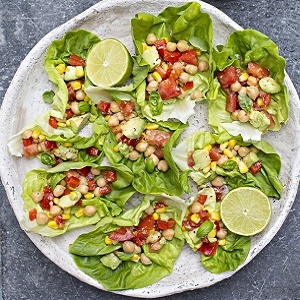 Lettuce leaves are used instead of traditional wraps, with a mix of avocado, red pepper, sweetcorn, tomatoes, fresh basil and lemon juice to make the salsa filling.